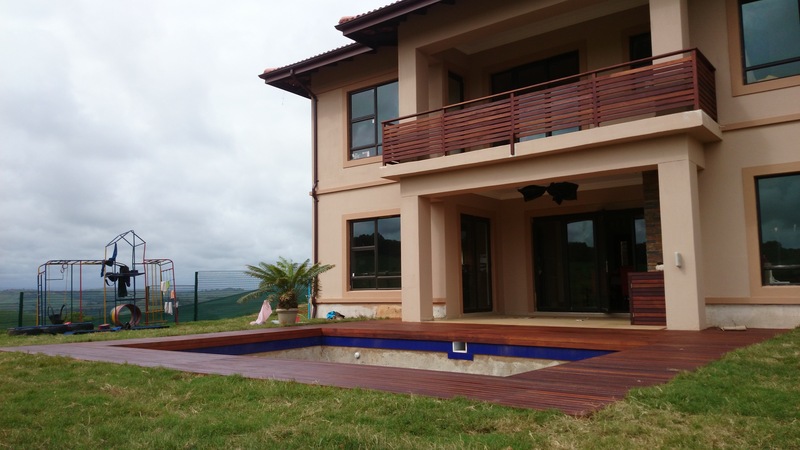 We completed these wooden sundeck jobs in Durban North last year during our busy decking season. There were two decks we built. 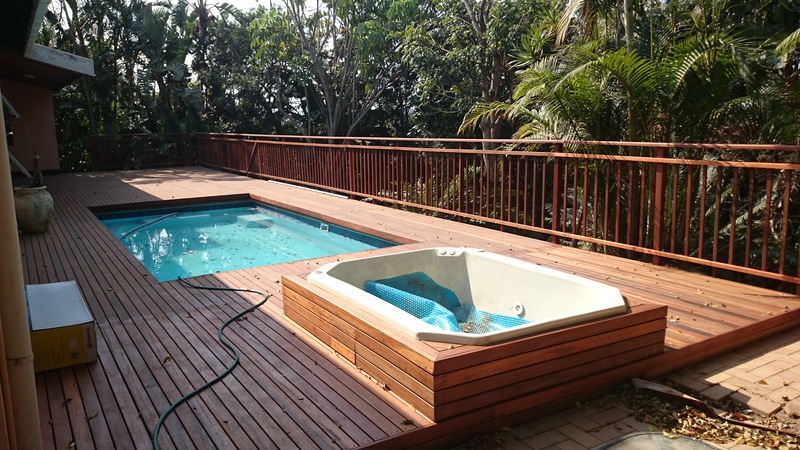 They were both quite simple in that they were low-level wooden sundecks coming off the granny flat, which had just been refurbished measuring 5m x 2.2m. The first one was a relatively small deck. It had two steps off the front edge with closed risers. That was probably the most difficult part of the job but we have worked out a way to build these quite effortlessly. 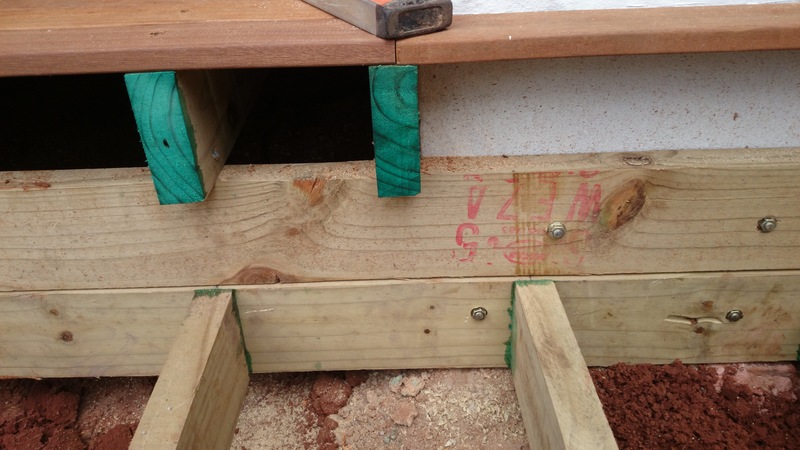 We build the deck with a fascia beam on the front and then we build a box complete with supporting joists frame etc. We then attach this to the fascia beam of the deck we have just built and we are left with a frame which we can clad to create our riser and tread of our stairs. It is much easier to do it this way. Trying to build it piece by piece in situ is a lot more difficult and time-consuming. 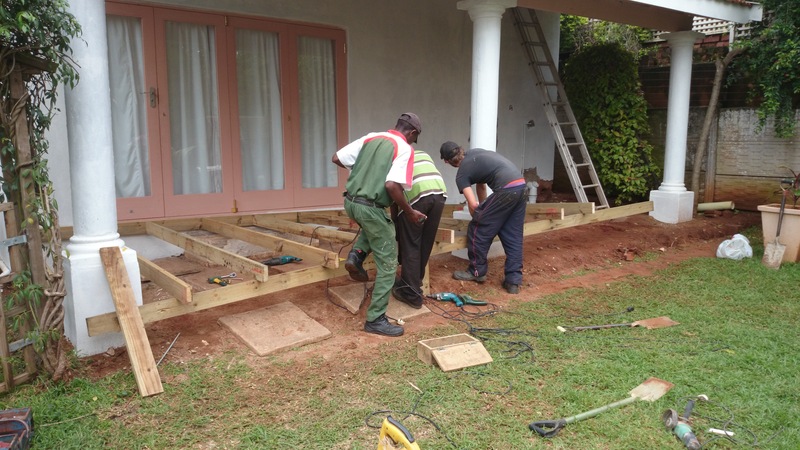 In fact building decks in sections and then hoisting them up into place is the easiest way to build as it allows you to work on a section of the deck on the floor, get everything square and then simply level it in place and attach it. We had two concrete columns on the front edge of the deck so it was relatively easy to secure the deck and made for fewer posts and concrete. 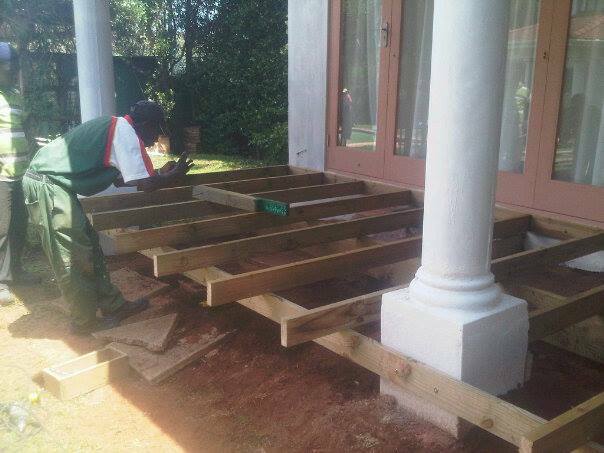 The second deck was closer to ground level off the patio of the main house. Again we built this in sections and lifted them up to secure them to the wall and then secured the front edge with posts to ground using concrete. Because of the length of the deck (11m odd) we had to build it in two sections and lift each section up independently of each other. It becomes a bit cumbersome trying to lift an 11m deck into place. So it is better to build it in two sections and lift each one separately. You need to be careful though that the entire structure remains flat from one end to the other. By doing them in two sections it is easy to get a kink in the middle. So run fish line from one end of the one section to the far end of the other section and adjust the join to get the entire frame flat and level. In another article I will describe the different methods used to screw the deck boards down. Again there is an easy and quick way or there is the slow process of marking and cutting each board individually. What one wants to do is to lay all boards out and snap chalk line where the cuts should be, then cut them all, put them back and secure them. There is another method too where you screw the boards down and then lift the ends that need to be cut and cut with a skill saw. 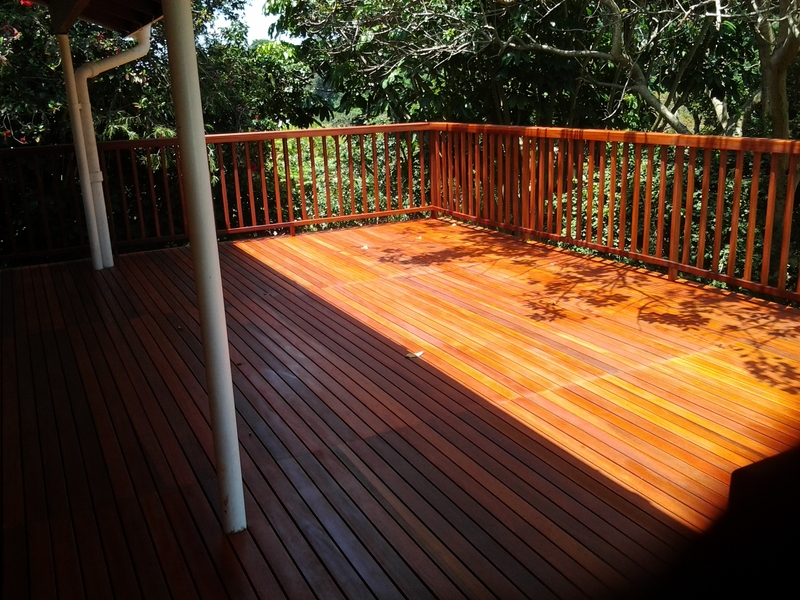 These two decks were sealed using Timberlife Satin Wood 28 Base, a sealer suitable for woods of low porosity. Being and oil based sealer it goes on very easily, cannot run or streak and when it comes to maintenance, you simply wipe clean and re-apply. 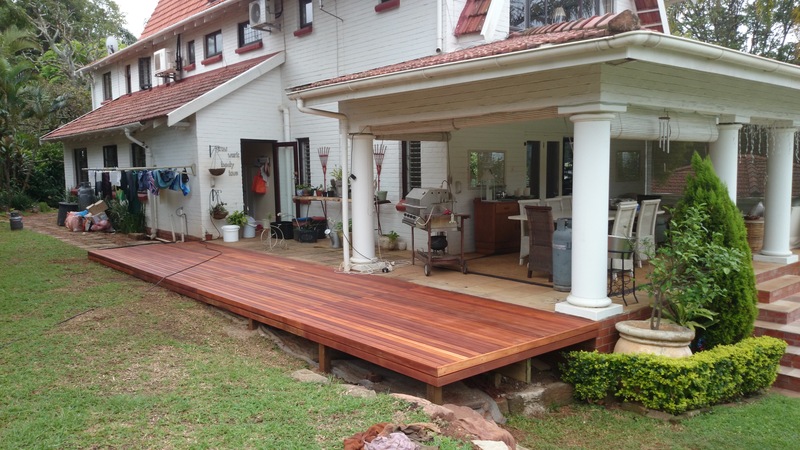 You will need to do it a bit more often than other deck “sealers”, but there will be no more sanding as the oil cannot peel or flake like a coating does. It soaks into the wood, nourishes it, leaving the full natural look of the wood and simply disappears instead of flaking and peeling. 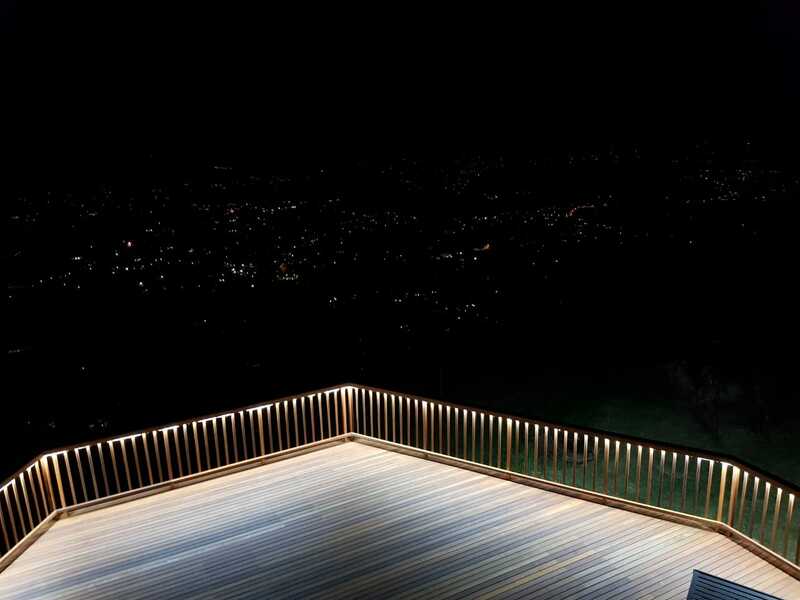 For a free no obligation quote on your wooden deck, balustrades, stairs etc. please call us on 031 – 762 1795 or use the contact us form below.